Inspire your practice. Sonoptic paints a unique picture of your musical performance to help you better reach your goals. 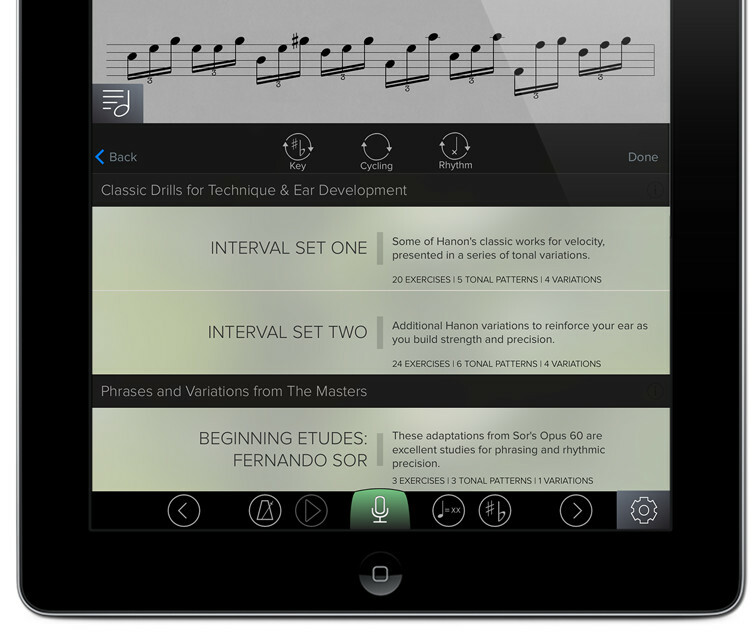 A built-in catalog of nearly 400 exercises, drills and etudes for players of all levels. Detailed, realtime visual feedback as you play along with a metronome. Rapidly move between keys, rhythmic patterns, and instrument transpositions. A session with Sonoptic gives you deeper insight and faster progress than the traditional "metronome experience". Play along with the built-in metronome. 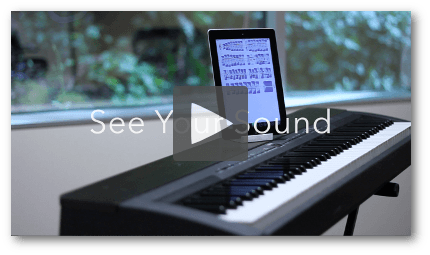 Sonoptic smoothly scrolls the music as you play, and gives you real-time feedback. Train your ear. Clearly pinpoint the areas you're struggling with. Get unique perspective as you play back your recording. Have all the notes right? Further enhance your mastery by focusing on your rhythmic accuracy. See when you're rushing or playing unevenly. 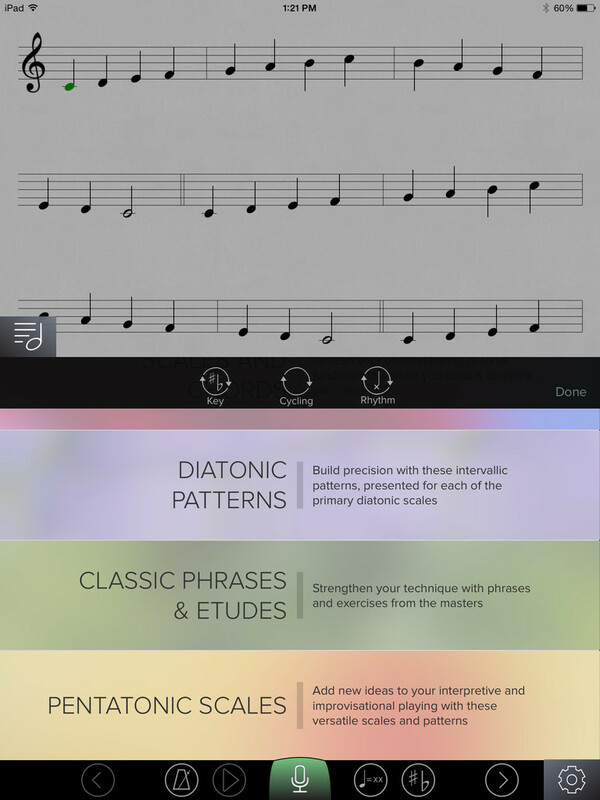 Challenge yourself with complex rhythmic figures. Visualize and refine intentional stylistic choices. Focus on your expression. Use visualization and playback to refine your dynamics and shape your tone. 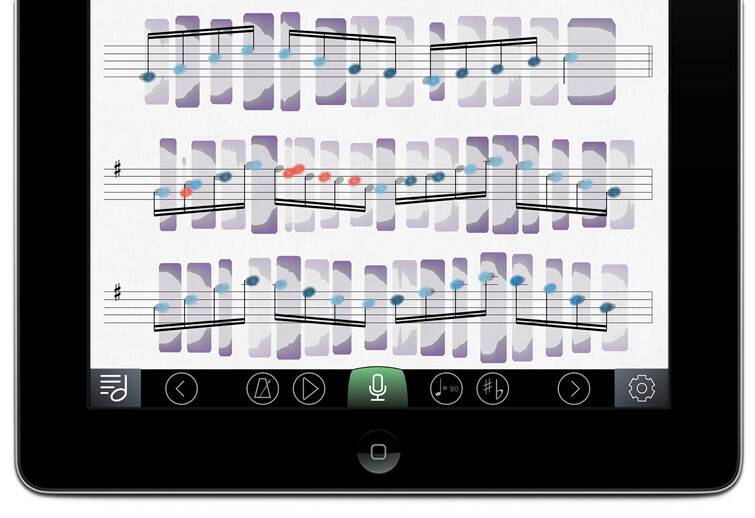 See your crescendos, decrescendos, accents, and more. Zero in on unintentional or uneven dynamics. Visualize and experiment with the shape of your tone. Become more conscious of your tendencies. Sonoptic is alive and under your control. It's the exercise book you can order around. Select any one of 380+ included exercises, and immediately adjust it to fit your needs and goals. 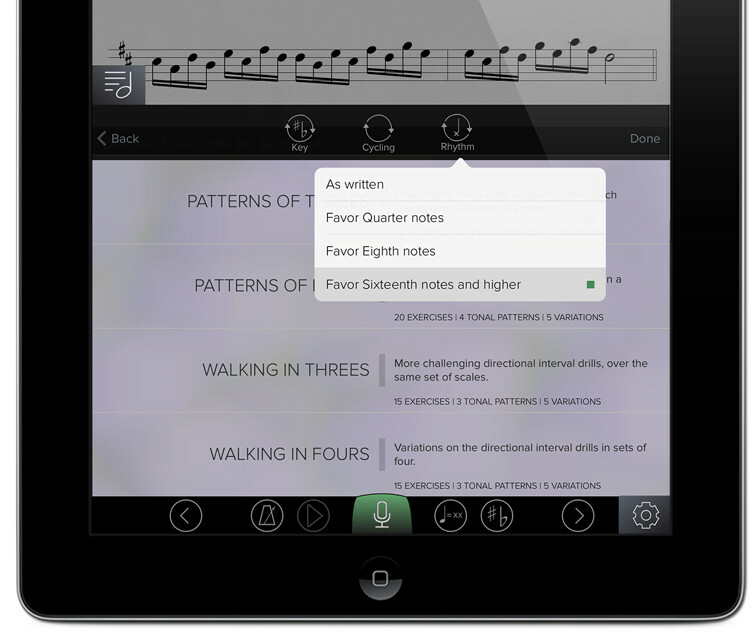 Customize key, transposition, rhythmic difficulty, cycling, repetition — all across every piece of music in the catalog. You've never had so much control over your practice material. Major, minor, diminished, chromatic, modal; every sigificant mode in any key. From basic major chords to complex variants and inversions. Crucial classic and contemporary patterns to elevate your speed, articulation, sight reading, and more. Timeless passages written by the masters, transposed for your instrument of choice. Modern patterns and aggressive technique exercises for these crucial jazz, rock, and blues fundamentals. Sonoptic transposes and customizes any exercise to best fit whatever instrument you tell us you're playing. The metronome gets an encore. Interested in learning more, and staying up-to-date on releases and new features? Share your e-mail address with us and we'll keep you up-to-date.